I’ll be sharing update photos of our yard soon, but today I wanted to send you over to read my designer interview at Setting for Four. 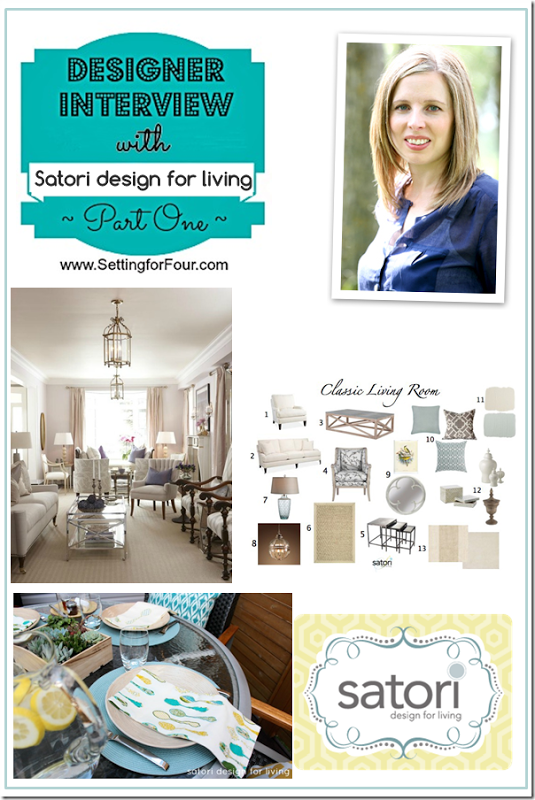 Heather is a fellow Canadian who writes a fantastic blog focused on creating a beautiful home. Currently she’s studying decorating and design, and was looking for a little insight on how I got started, what my decorating style and philosophy is, how I approach a new project, who inspires me and more. While you’re at Setting for Four, you can also check out Heather’s interviews with Darlene Weir and Emily A. Clark. Both women are amazing designers I adore! Great interview Shauna – I love your style! I’m already a fan of Setting for Four, as Heather is a fellow Ottawan! Thanks Donna! It’s a fantastic Canadian home blog for sure! Thanks Samara! You’re so sweet! Heather’s blog is one of my favorites! That was a great interview Shauna and the photos were beautiful! Thanks Heather. You’re always so supportive! Great interview, Shauna! Congrats on being featured!